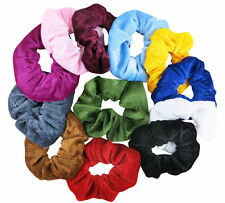 Velveteen Hair Scrunchies. 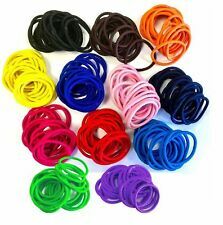 12 Velveteen Hair Ties - one per colour as shown in photo. 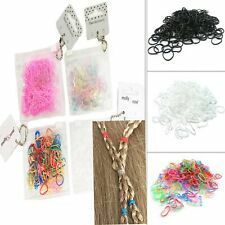 Sachet de 500 élastiques noirs - LAP 20(Ø13)mm x 2mm. Matière TPU (très résistant). Pratiques pour attacher nattes, cheveux, tresses, tresses de chevaux. Elasticated at the back to fit all sizes. Crystal and Diamante Hair Band. This does not affect your statutory rights. Chignon Hair Pins BROWN 13cm Plastic Hair Back Cellulose Acetate U Hair Stick. Chignon Pin 13cm Tort Plastic Hair Back Cellulose Acetate U Hair. Colour Brown as seen in the picture. All DPD parcels should be signed for on arrival. 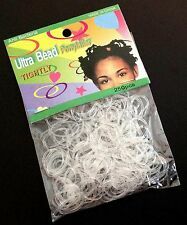 1x 250 ( Clear) HAIR ELASTICS RUBBER BANDS BRAIDS PLAITS.